Kat Lally began her training in medicine at the University of Saint Francis in Fort Wayne, Indiana where she received a Bachelor of Science in Nursing. Her work began at Mid-Illinois Hematology & Oncology Associates and continued for seven years where she became skilled in administering chemotherapy and treating cancer patients. After several years of work with patients, Kat decided to advance her knowledge in nursing medicine to really get to the heart of what patient care was all about. She returned to school in 2014 at Illinois State University’s Menonite College of Nursing and received her Master’s of Science in Nursing. 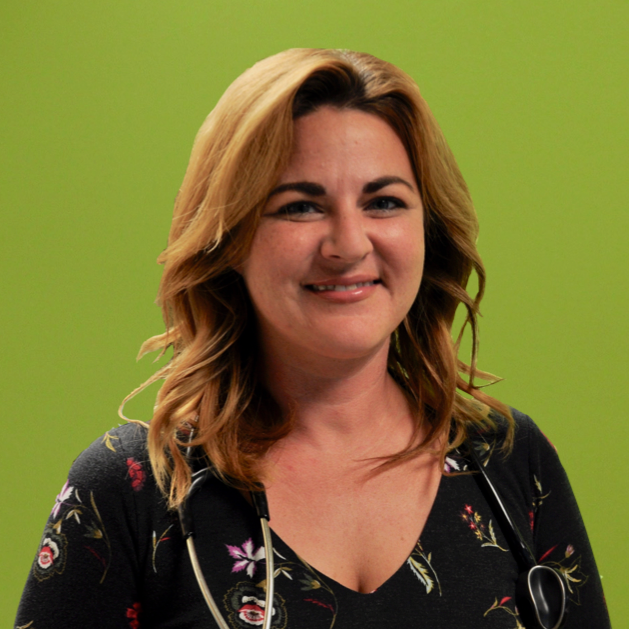 Since receiving her advanced degree and becoming certified as a Family Nurse Practitioner, Kat has been able to thoroughly combine her past experience of nursing with a more hands-on patient experience as a provider. Kat then moved into asthma and allergy when she joined the MASA team in 2015 as a Registered Nurse. Over the years, she has become skilled at procedures, such as Intravenous Immunoglobulin (IVIg) Treatment and has advanced knowledge in asthma and food allergies. When she’s not working in medicine, Kat loves spending time with her husband and kids. Even as a dedicated, working mother of three, she still finds time to follow her favorite baseball team, the Chicago Cubs whenever she can.